"Isabelle" on the icy shoreline of Isle Royale before she crossed to the mainland. Although it's not known who shot the wolf or where, the animal was "likely shot by someone trying to scare it away," said Liz Valencia, park service chief of interpretation and cultural resources at Isle Royale National Park. Valencia said such a shooting did not violate tribal regulations and she was not aware of any investigation or pending charges over the animal's death. Michigan Technological University researchers who study Isle Royale’s wolves and moose say the female wolf, known as Isabelle, was a loner on Isle Royale. She had been attacked by other wolves on the island before escaping over the ice bridge this winter. 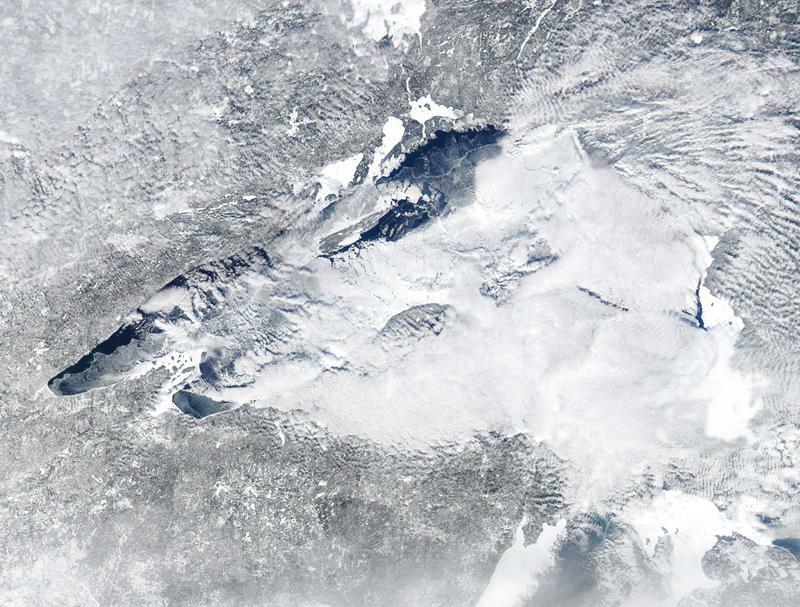 Researchers last spotted Isabelle on the shoreline of Isle Royale on January 21 during a research flight. As we circled Isabelle, every few moments she stopped and turned to look back, as though concerned about being followed by other wolves. We knew what she likely did not: at the moment she was safe from her mortal enemy, who was miles away on the other side of the island. Then again, she certainly knows a great deal that we do not. She may have veered across the ice that night. At age 3, she had left the pack into which she was born, which is normal behavior for a wolf, Peterson said. "They disperse and look for vacant territory and an opportunity to mate," he said. "But she's been trapped on Isle Royale. She'd been traveling on her own for two years and never had pups." Researchers on Isle Royale National Park have been following the interactions between wolves and moose for more than 50 years. 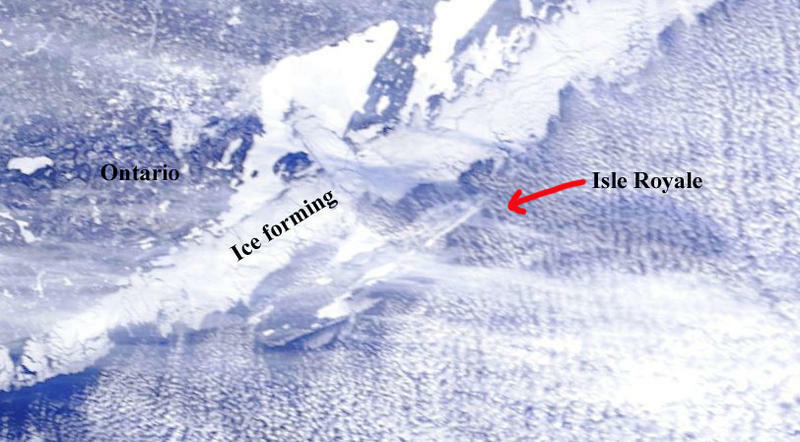 The island is home to the longest continuous predator-prey study in the world, and researchers and fans of the study are worried about the number of wolves left on the island. At last count, there were just nine adult wolves left. That’s down from a peak of 50 animals in the late 1970s. Researchers will release a more up-to-date tally of the number of wolves left on Isle Royale in the coming weeks. Isle Royale National Park Superintendent Phyllis Green is gathering information on whether the park service should bring in new wolves or not. You can read more about that here. You can listen to today's Environment Report here or read an expanded version of the story below. Wolves and moose fight for survival on Michigan's Isle Royale National Park. For more than 50 years, researchers have been closely watching them in the world’s longest-running study of predators and prey. The number of predators on the island has been sinking fast. The Park is a dedicated wilderness area, so managers do their best to keep it as untouched by humans as possible. But people might need to step in. Phyllis Green is the park's superintendent. “At this point we’re concerned about the low levels of wolves on the island, but we’re also concerned about making sure the next steps we take are well-thought-out,” she says. 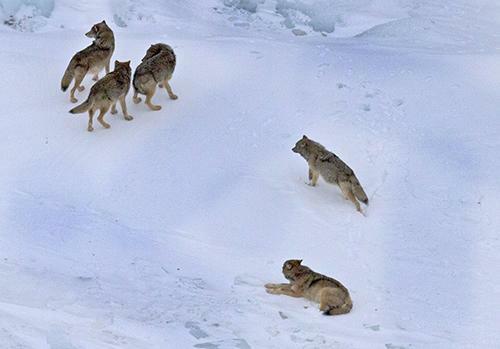 There are just eight wolves left on Isle Royale. This is the first year that Michigan Technological University researchers were unable to document any pups born to the wolves. 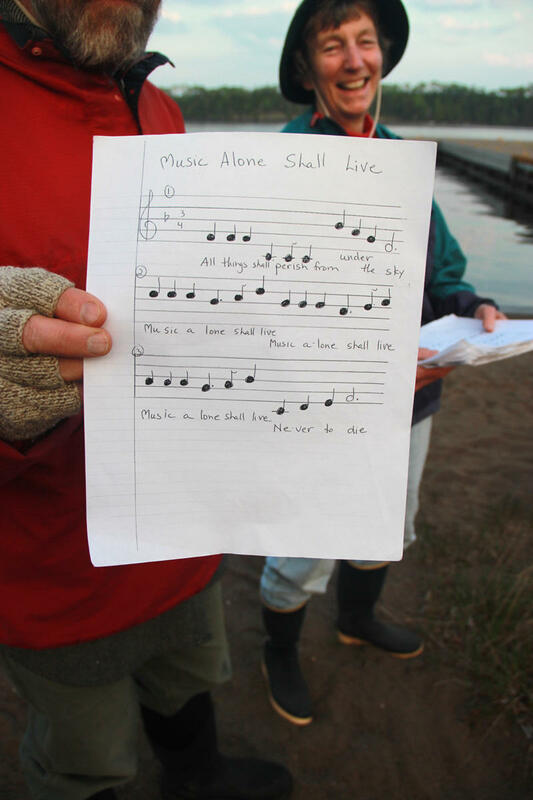 We've been posting radio pieces, videos, and blog posts all week as part of our series Lessons from Isle Royale's Wolves and Moose. Researchers like Durwood Allen, and Michigan Tech's John Vucetich and Rolf Peterson have been keeping a close eye on the animals on the island for more than five decades. Peterson has been doing it the longest. He's been watching and documenting things on Isle Royale for 42 years.